of if there are no boundaries or differences in any thing or action, but that all is the same, then what does it matter what happens? If this is the idea, then given that humans have a tremendous potential to make change happen, then how does one resolve the seeming discrepancy between doing and not doing? Surely the example of disembodiment is an extreme example of not doing…. what is the point of this story? 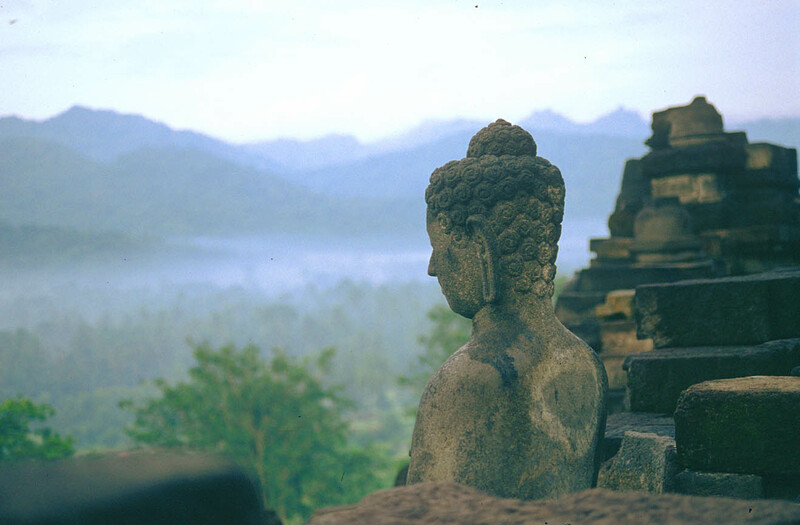 He (the Buddha) could… so he did… choose to react as he did? Remained centered and choose to react or not, yes. Non-attachment to body and self, yes. 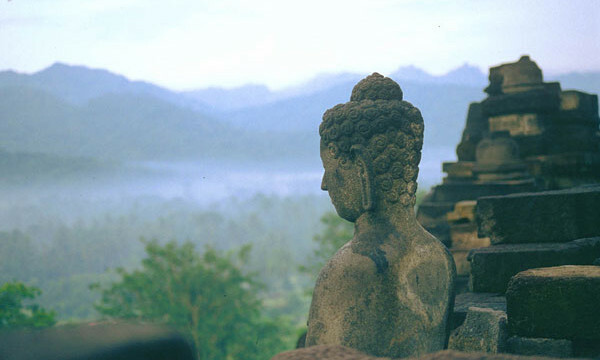 No boundaries and no difference, all the same – yes only in Buddha’s state of awareness. But not appropriate to be applied readily in the relative world of duality and form (the universal wisdom will take into account the relative rules in the world too, to be universally loving). If enlightenment implies no-action, then Buddha wouldn’t respond to the king’s aggression, and Laozi wouldn’t leave us any teachings. The point of this story is to illustrate to us, in an extreme and personal way, that one could attain mastery over one’s body and one’s self. In such state, one transcend the limitation of body and self, and therefore can act according to the divine and natural flow of the universe. If it is the universe’s will for a person to act to make a difference, then it will happen via the person, and vice versa. All we need to do is to let go of our self’s involvement and bias, and to dedicate our actions to the highest good, then all will be done perfectly (Thy Will be done). Is this story like trying to explain to a line or a square what a sphere looks like? Unless you live in three dimensions, it is difficult to completely comprehend? Unless you are a Buddha, it is difficult to completely understand what the world looks like through the Buddha’s eyes? The story and the Sutra are actually the line and square which are mentioned to illustrate what a sphere is. Until we realize we are the sphere that consists of lines and squares, we get stuck in lines and squares. Until we realize we are the Reality which consists of our limited body, mind and self, we get stuck in them likewise.